No Business Model is complete without an intense Risk Assessment. The following is a detailed analysis of the risks we believe Hydra may face and our anticipated response. Hydra’s risks are analyzed, considering likelihood and impact, as a basis for determining how they should be managed. The Hydra’s Risk Assessment consists of a detailed study of threats and vulnerability and resultant exposure to various risks. To meet the stated objectives, effective strategies for exploiting opportunities have evolved and as a part of this, key risks are identified and plans for managing the same are laid out. Hydra will prepare a detailed risk assessment and mitigation strategy for each individual project that will be part of our FEL-3 study for each project . Each project will have a detailed risk mitigation plan that will ensure project risks are continually monitored. The project plan will be actively changed as required to ensure risk mitigation. Our customers are municipalities or states with responsibilities for waste management at the municipal level. Economic slowdowns or factors that affect the economic health of our customers may increase risk to our revenue growth. Strategically, we will seek to continuously expand the customer base to maximize the potential revenue. It is clear that climate change impacts are going to be increasingly felt this decade and the following decades of the century with ever increasing severity. There is now no question that responding to climate change is going to be among the biggest drivers of the 21st-century. These issues will increase the demand for water recycling and food security and may be of benefit to Hydra projects, however, Hydra cannot overlook the very severe financial impacts that may affect our host cities and the follow-on business impacts these are likely to cause Hydra. Increasing precipitation events present a greater problem. From Hydra’s standpoint it means that municipal sewerage systems which are in general also serving as rainwater drains are going to be increasingly overwhelmed with attendant flooding and pollution problems. Our modular front-end screening capacity will come under pressure. Hydra will ensure sufficient space is set aside to accommodate enlarged facilities. A climate change audit will be included in the Hydra Business Case Design and feasibility Study such that we can assess and highlight these risks at the outset. Additionally the Audit will be reviewed annually. The initial and follow-on Audits will identify many other impending risks, such as health risks, sea level rise, erosion, vulnerability of agricultural production. They will also identify a range and scale of costs which the municipality is going to have to cover outside of the Hydra package. Hydra will include municipal personnel on the audit team and offer participation in the Policy response discussions. Finally in concert with the City and the State government, we will also highlight the major economic structural changes which are likely to occur as the result of climate change mitigation efforts. Such as the vulnerability of tourism industry and population movement. The Company will establish subsidiary Companies in each national political jurisdiction within which we operate. Any adverse change in the political environment in those countries, would have an impact in growth strategies of the Company. However, established economies (e.g. USA) have less risk while emerging economies (e.g. UAE, Vietnam, Jamaica) due to compulsions of global competitive forces, are stabilising their investment policies with considerable reforms to attract foreign investment. We review existing and future investment strategies on a continuous basis. Risks that are likely to emanate will be managed by constant engagement with the Government of the day, reviewing and monitoring the country’s industrial, labour and related policies and involvement in representative industry-bodies. Hydra will also seek World Bank Multilateral Investment Guarantre Agecy (MIGA) insurance against political risk where warrented. MIGA promotes foreign direct investment by providing political risk insurance and credit enhancement to investors and lenders against losses caused by noncommercial risk. The markets for Waste Management are rapidly evolving and highly competitive and we expect that competition will continue to intensify due to establishment of new capacities. We expect consolidation of operations across the sector. We believe that we are strongly positioned in our designated markets, commanding a premium for our services and products. 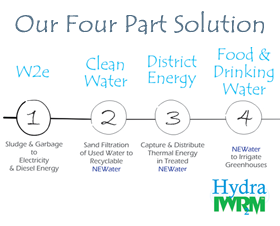 We are the only Company to offer a completely integrated liquid and solid waste management approach. Our integrated configuration serves to position us well. 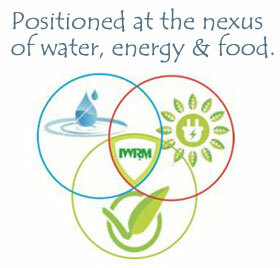 It is also believed that the engineering and management expertise of the Company in the operation of waste-to-energy, waste water treatment, district energy and greenhouse facilities, technical know-how within the Company and the Company’s key partners, as well as the emphasis on the Company’s hallmarks of excellence in design, execution, and operation will substantially minimize the impact of market fluctuations compared to other players. Additionally, efforts to bring down the cost of production will be implemented with the establishment of captive power generation in the compound area itself, brand exploitation with common media publicity promotion etc. High concentration in any single business segment exposes the Company to the risks inherent in that segment. The Company has multiple revenue streams in several sectors (e.g. renewable non-fossil petroleum energy, potable water and food stuffs) thereby mitigating risks associated with any one sector. Additionally, we have adopted prudent norms based on which we will monitor and prevent undesirable concentration in a geography, industry, or customer. The quest for diversified activities within the existing realm of overall management after due consideration of the advantages and disadvantages of each activity is consistent with Company policy of increasing business volumes with minimum exposure to undue risks. The cost of revenues consists primarily of raw materials including MSW, sewage etc. The cost of revenues has a very low degree of inflationary certainty. The Company will establish specific contracts for procurement of long delivery. At an organizational level, cost optimisation and cost reduction initiatives will be implemented and closely monitored. The Company will control costs through budgetary mechanisms and its review against actual performance with the key objective of aligning them to the financial model. Hydra’s philosophy is to ‘Modernize, Indigenize, Never Compromise on Technology’. The Company strongly believes that technological obsolescence is a practical reality. Technological obsolescence is evaluated on a continual basis and the necessary investments are made to bring in the best of the prevailing technology. Established contacts with leaders in technology, particularly in the areas of the Company’s operations, have dividends in our access to newer and evolving processes. The Company’s policies also include a favourable dispensation for replacement of Machinery and Equipment on a constant basis to take advantage of such technological movements. Changing laws, regulations and standards relating to accounting, corporate governance and public disclosure create uncertainty for companies within every jurisdiction within which we operate. These new or changed laws, regulations and standards may lack specificity and are subject to varying interpretations. Their application in practice may evolve over time, as new guidance is provided by regulatory and governing bodies. This could result in continuing uncertainty regarding compliance matters and higher costs of compliance as a result of ongoing revisions to such corporate governance standards. We are committed to maintaining high standards of corporate governance and public disclosure and our efforts to comply with evolving laws, regulations and standards in this regard will further help us address these issues. Our preparation of financial statements in conformity with GAAP standards around the world, will require us to make estimates and assumptions that affect the reported revenue and expenses, assets and liabilities, disclosure of contingent assets and liabilities at the date of our financial statements. Management bases its estimates and judgments on historical experience and on various other factors that are believed to be reasonable under the circumstances including: consultation with experts in the field; scrutiny of published data for the particular sector or sphere; comparative study of other available corporate data, the results of which form the basis for making judgments about the carrying values of assets and liabilities that are not readily apparent from other sources. These may carry inherent reporting risks. We believe that the accounting policies related to revenue recognition and Accounting for Income taxes are significant. While our functional currency is the Canadian Dollar, we transact a significant portion of our business in USD and other currencies. Accordingly the Company will face foreign currency exposure from our sales in other countries and from our purchases from overseas suppliers in U.S. dollars and other currencies. The Company will be exposed to substantial risk on account of adverse currency movements in global foreign exchange markets. We will manage risk of foreign currency fluctuations through limited hedging of specific transactions with our Bankers. Our risk management strategy is to identify risks we are exposed to, evaluate and measure those risks, decide on managing those risks, regular monitoring and reporting to management. The objective of our risk management policy is to minimize risk arising from adverse currency movements by managing the uncertainty and volatility of foreign exchange fluctuations by hedging the risk to achieve greater predictability and stability. Without venturing into the speculative aspects of dealing in currency derivatives, we aim to cover foreseeable fluctuations with limited hedge cover so that moderate arbitrage efficiency will be achieved against the existing borrowing rates of interest. All risk management policies will be approved by senior management and include implementing hedging strategies for foreign currency exposures, specification of transaction limits; and identification of the personnel involved in executing, monitoring and controlling such transactions. Accounting fraud or corporate accounting fraud are business scandals arising out of Misuse or misdirection of funds, overstatement of revenues, understatement of expenses etc. Creating a favourable atmosphere for internal auditors to report and highlight any instances of even minor non-adherence to procedures and manuals and a host of other steps throughout the organisation including assigning responsibility for leaving the overall effort to a senior individual like Chief Financial Officer. Legal risk is the risk that the Company will be exposed to legal action. The Company is governed by various laws and the Company has to do its business within the four walls of law, where the Company is exposed to legal risk exposure. We have an experienced team of professionals and advisors who focus on evaluating the risks involved in a contract, ascertaining our responsibilities under the applicable law of the contract, restricting our liabilities under the contract, and covering the risks involved so that they can ensure adherence to all contractual commitments. Management places and encourages its employees to rely on professional guidance and opinion and discuss impact of all laws and regulations to ensure the Company’s total compliance. Advisories and suggestions from professional agencies and industry bodies, chambers of commerce etc. will be carefully studied and acted upon where relevant. The Company will establish a compliance management system in the organisation with the Secretary of the Company being the focal point. The Secretary will receive quarterly compliance reports from functional heads which are placed before the Board supported by a quarterly Secretarial Audit report. The Company is subject to additional risks related to our international expansion strategy, including risks related to complying with a wide variety of national and local laws, restrictions on the import and export of goods and technologies and multiple and possibly overlapping tax structures. The Company will put in place a robust compliance process using consultants in each country where the Company has set up its subsidiary. Our commitment towards total Quality Management is to forge the Human Resources of our organisation into a team that promotes continual improvement in quality of products and services. Considerable focus will be given to adherence to Project Evaluation and Review Technique (PERT) charts, targeted dates and commitment to quality in every project and customer feedback is studied with personal interaction with them before, during and after project completion. Hydra, a pioneer in Integrated Waste Management is committed to customer satisfaction and a clean and safe environment. Stakeholder engagement and consultation programs. The vision of the Company is to, “Achieve organizational excellence through innovation”. Hydra’s Human Resources Development (HRD) Department will add value to all its Units and associate companies by ensuring that the right person is assigned to the right job and that they grow and contribute towards organisational excellence. Our growth will be driven by our ability to attract top quality talent and effectively engage them in right jobs. Risk in matters of human resources will be minimized and contained by following a policy of providing equal opportunity to every employee, inculcating in them a sense of belonging and commitment and also effectively train them in spheres other than their own specialisation. Employees will be encouraged to make suggestions on innovations, cost saving procedures, free exchange of other positive ideas relating to manufacturing procedures etc. It is believed that a satisfied and committed employee will give of their best and create an atmosphere that cannot be conducive to risk exposure. Employee-compensation will always be subjected to fair appraisal systems with the participation of the employee and is consistent with job content, peer comparison and individual performance. Packages are inclusive of the proper incentives (base wage package includes housing, water and electriciyt in all developing countries) and take into account welfare measures for the employee and his family. All facilities in developing economies include a Village within the works compound. The villlage environment includes health care cliniques for all, day care and secondary education for all children. We seek to provide an environment that rewards entrepreneurial initiative and performance. As has been so painfully illustrated in the past several months with regard to Flint Michigan, water quality is a major safety issue of utmost importance. Each Hydra facility will have its own certified water testing laboratory and trained personnel. Grab samples will be harvested and tested every four hours. Weekly, a sample will be forwarded to a third party laboratory for testing. Hydra will publish all test results and Management will review with staff weekly. The Company will have various divisions located in different geographical locations and people belonging to different culture and values are employed in those divisions. Managing risk consistently among multi-cultural workforce is very critical. The Company will implement a written code of conduct and ethics for the employees. These policies will be disseminated on the Company’s website and affirmations have been obtained from all concerned to ensure compliance. These are guiding parameters for all organization-wide initiatives. The Company has consistently followed the practice of adhering to certain cultures and values in internal and external management. Every employee will be made aware of such practices and the logic behind them. It is the Company’s policy that every employee will be attuned to follow fair practices and uphold its fair name in every field they are involved. Further, the Company’s website, www.hydraresources.com will provide an overview of the organization’s direction, design, culture, processes, product range, policies and practices. This site is also accessible to the public and is updated periodically. The Management cautions readers that the risks outlined above are not exhaustive and are for information purposes only. Management is not an expert in assessment of risk factors, risk mitigation measures and management’s perception of risks. Readers are therefore requested to exercise their own judgment in assessing various risks associated with the Company.